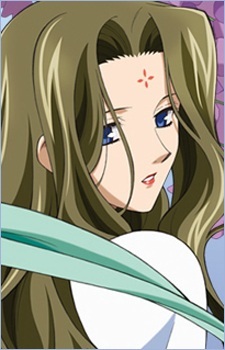 Shusui is the Chief lady-in-waiting in the imperial household. Ran Ryuuren noticed once while having tea with Shuurei that she is very skilled for a lady-in-waiting (Kourin had accidentally dropped the tea pot and Shusui had caught it). She is part of the Black Wolf clan.She secretly loves and admires Shouka Kou,the father of Shuurei Kou,librarian by day and the leader of the wolfs&#039;s clan ,Black Wolf himself. He retired from being the leader after he felt in love with Shuurei&#039;s mother,a noble woman who Shouka was supposed to kill,because of a mission he was given.